Cletus M. Ibeto (born November 6, 1952) is a Nigerian businessman from the industrial city of Nnewi. 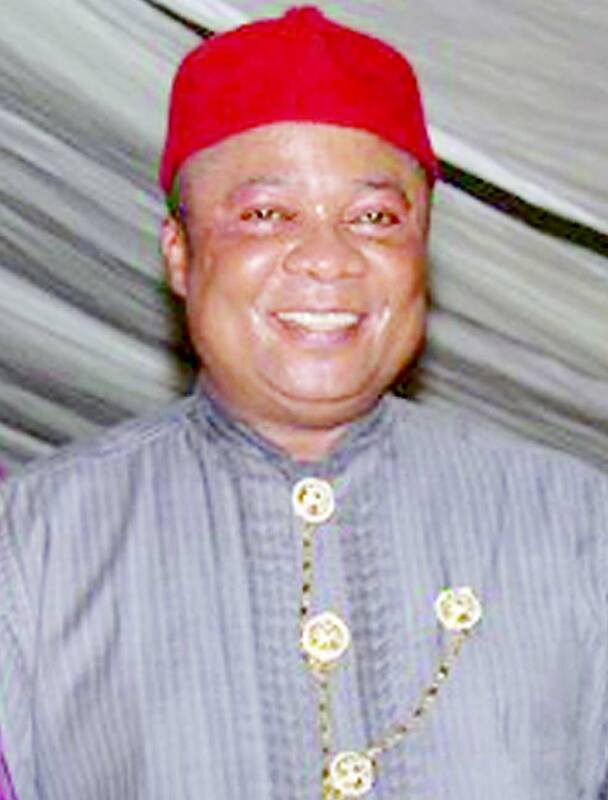 He is head of The Ibeto Group, the largest business enterprise from Nnewi, a city unique for its entrepreneurial spirit. In the early 1980s, when the oil crash and a controversial import licensing system was making a dent on the Nigerian manufacturing environment, Nnewi went through a growth period. The Ibeto Group under the Ibeto's leadership was a pace setter in the region and nation's trading and later manufacturing development. His story teaches that no matter how your financial situation seems at any point in life, seeing and taking opportunities when others don’t, smart-hard work, perseverance, and the right network can change your status for good. On January 22, 1966, at age 13, the highly spirited Ibeto got his school box and provisions all packed and set for school. Unknown to him, the academic phase of his life was about to crash, as his father decided that since he had multiple sons, he’d be better off sending some of them to school and sending one off to be a trader, so as not to put all his eggs in one basket. Cletus was the unfortunate one who got booted from school, and was sent off to learn a trade. While his two elder brothers, Cyril and Louis continued their education. This exclusion got Cletus angry and triggered a mild protest in him; by not eating for days, crying, begging, and climbing trees as though he planned to end his life. His father sent him off to a John Akamelu in Onitsha. He got to his master’s place in his school uniform. This prompted people to make funny jokes of him and eventually tag him with the name, “schoolboy”. The people in the market enjoyed their mockery because they believed people who go to school were weaklings seeking refuge, and could not compete in the world of trade. Ibeto’s master decided to ensure he never thought of school again, and didn’t fail to use the rod when appropriate. Till this day, a mark of his masters whip remains on his arms, and he views it as a trophy, because the discipline he received brought out the best in him. His time as an apprentice with his master was filled with a thorough study of the trade and an inculcation of sheer brilliance in him, which made him a formidable competitor in the market. At the age of 17, his apprenticeship was shortened by the civil war. Since he was forced to join the army, his life was only saved because, he was sent on an errand by his superiors to go and get food. This little trip was the beginning of his path to greatness. After the war, Cletus Ibeto decided to pursue his dreams of becoming a successful trader once again. To raise capital for his business, one of his elder brothers, Louis, gave him a leather handbag and a round neck suit, which Ibeto sold along with a packet of APC tablets he picked up at an evacuated hospital. With the little he raised from the sales of these items, Ibeto was able to start and gradually grow his business in smart baby steps. The government of Sehu Shagari triggered the big break for Cletus Ibeto. At the time, a policy in the country enabled the importation of goods without an import licence. This period helped Ibeto amass a great deal of fortune, which he subsequently put back into his business to grow it sporadically till the import licences were then reintroduced. With the new development and his short quick success, he was able to secure an import licence worth 3 million Naira, at a time when the value of a dollar was equal to 68 kobo. With this scarce licence, he proceeded to import 65 containers of motor spare parts. His promptness to secure a licence greatly favoured him yet again because, shortly after he had secured his, the country made it almost impossible for anyone to secure an import licence, and to make matters worse for budding entrepreneurs, the government changed hands and the borders closed, temporarily shutting down all forms of importation. His already available containers give him an upper hand, as he traded when others could not, and so enjoyed a great monopoly the system had unconsciously provided him. By the year 1995, the Ibeto group built a manufacturing factory and became the largest indigenous manufacturer of auto spare parts in Nigeria. 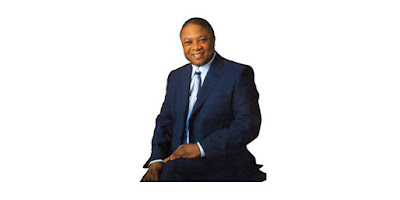 The following year in October 2, 1996, he setup another manufacturing company called Ibeto Petrochemical Industries Limited; which manufactures oil lubricants and other various petroleum products both for local and international trade. The company has the largest liquid storage facility for petroleum products in Nigeria, with a large capacity to store over 60,000 metric tons, and is located at the Apapa Warf and the Ibru Jetty Complex in Lagos, Nigeria. Today, Cletus Ibeto is one of the wealthiest people in Nigeria with a net worth in an excess of 3 billion dollars according to Ventures Africa (2013) and a vast conglomerate heavily placed in various sectors of the economy, such as cement, automotive parts, petrochemicals, hospitality, real estate, banking & finance, and oil & gas. Cletus Ibeto’s success story just like many others, depicts the story of a man who sets himself on a journey to greatness and knows exactly how and when to take advantage of an opportunity. He has gone through so much problems but was able to overcome and withstand them. Mr Ibeto's business offer some of the best services in the line of its operations. Even right now am sitting on the bed of his hotel room in Gudu. And NO, he didn’t lodged me for free neither did he know am writing this about him but the great services been offered here gives me great sense of dependency on the fact that any of his other business dealings must be rendering similar quality of service. If you liked this article, please share us with your friends and don't forget to drop your comments, so we can serve you better.